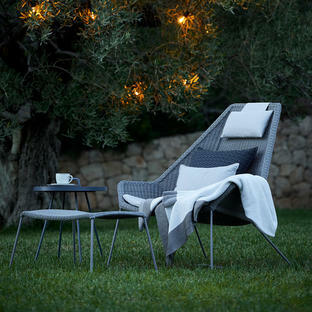 Delightful outdoor lounge with grace and style. 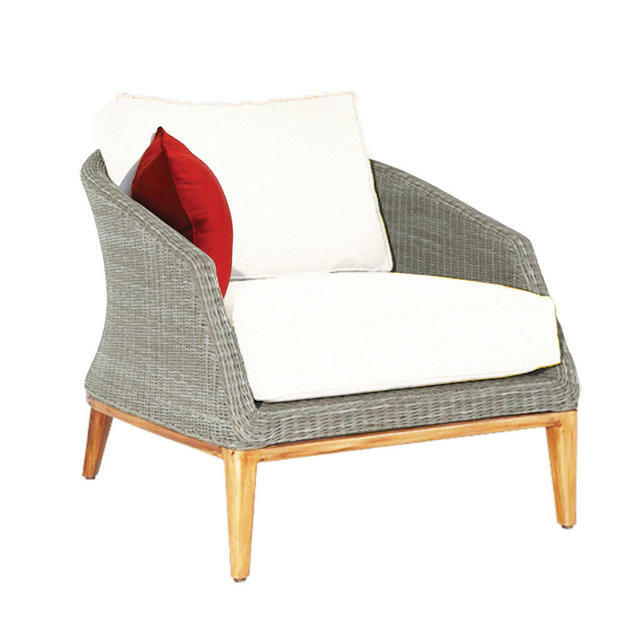 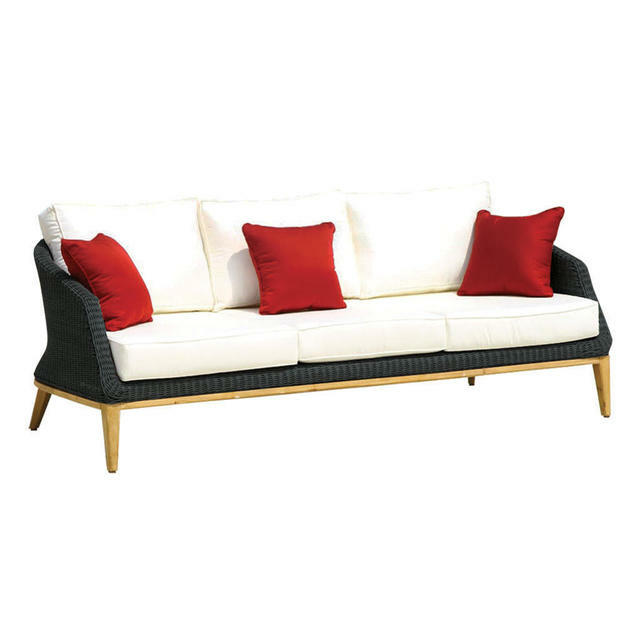 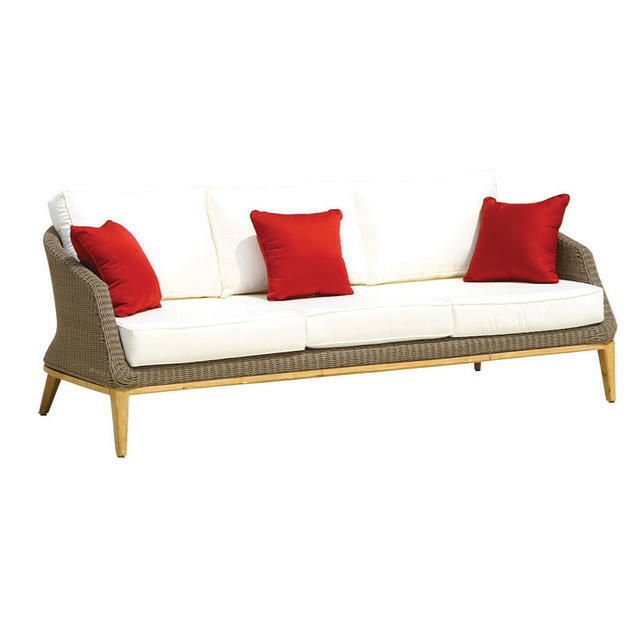 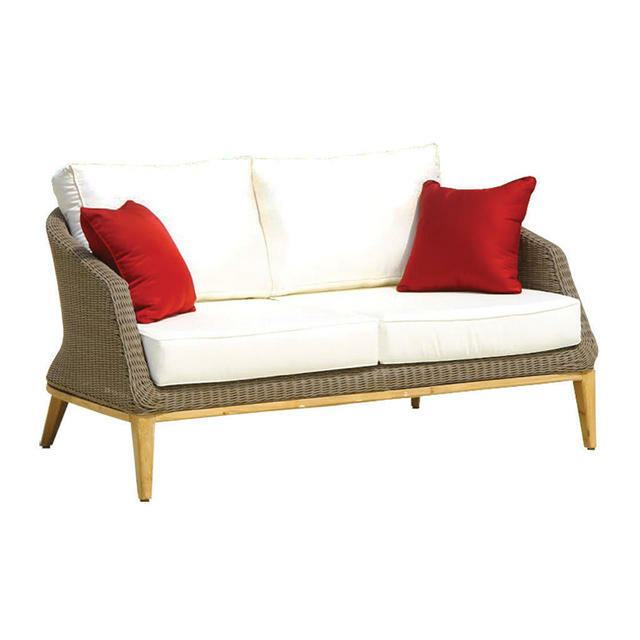 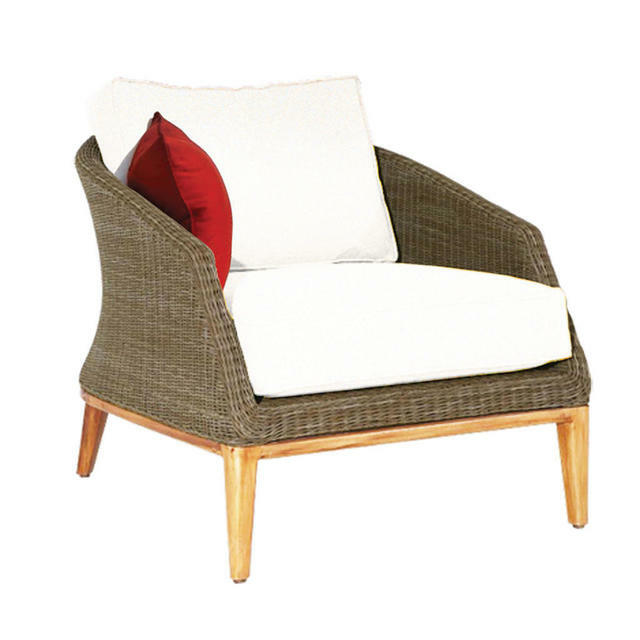 Taking influence from both Lloyd Loom style weave and classic 1930's styling, these beautiful bucket shaped outdoor lounge chairs and sofas are made from all weather weave on a timeless teak frame. 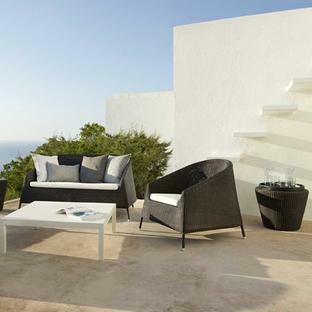 The armchairs and sofa are deep and luxurious with comfortable cushions in practical Sunbrella fabric with quick drying foam, making them especially suitable for outdoor living. The Grace collection works well in a conservatory or garden room, as well as outside. The cushions come as standard with the chair in a choice of 3 colours. An occasional circular coffee table is also available in the Grace collection. 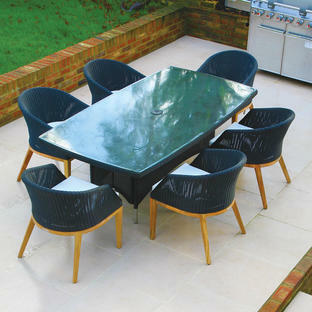 There are also dining chairs available in the Grace collection. 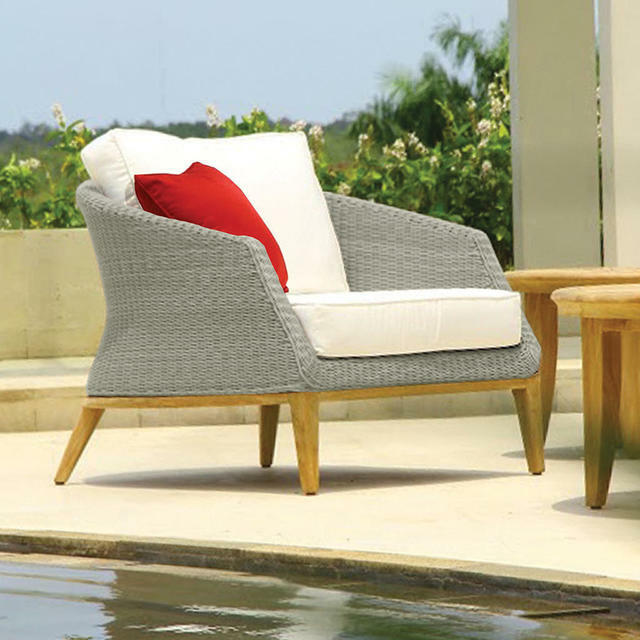 The legs are made in teak, as with all teak used outside the colour will weather to a soft, silver patina. 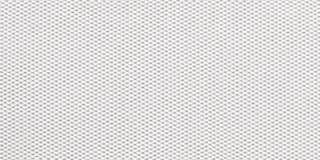 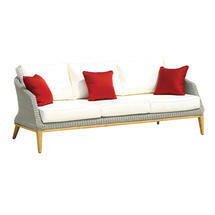 The weave and Sunbrella cushions are UV resistant and will not fade. 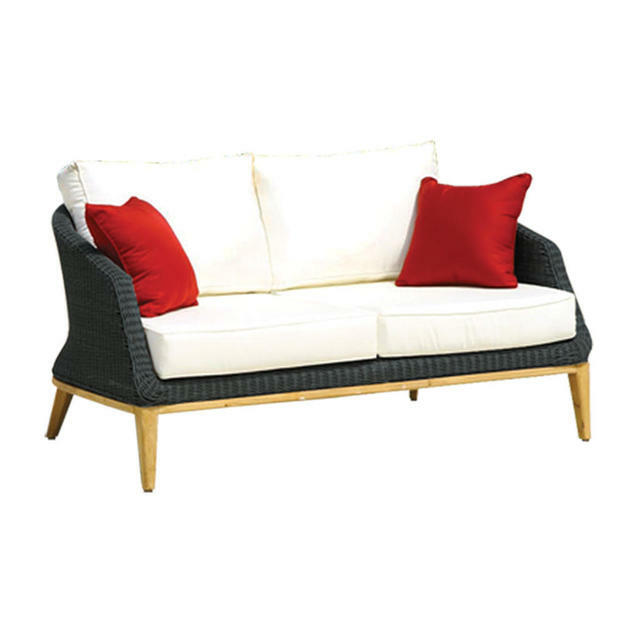 The furniture can be left outside all year round, and we would recommend winter covers to give some element of protection and reduce cleaning needed in the spring, please see here for furniture covers. 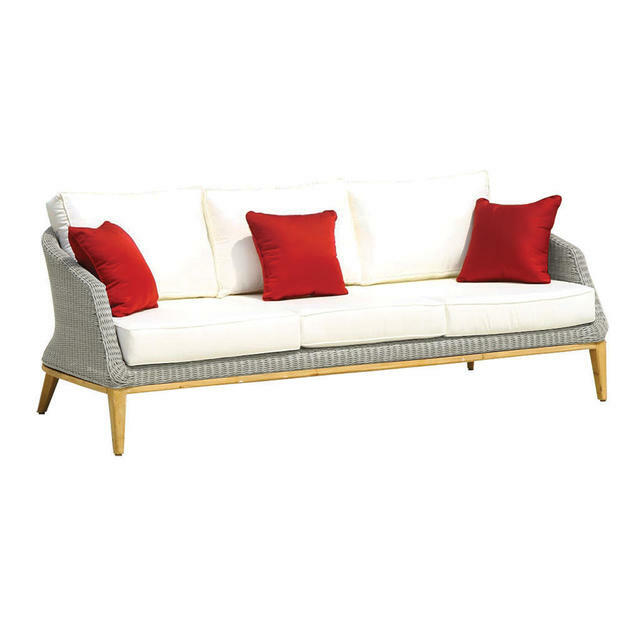 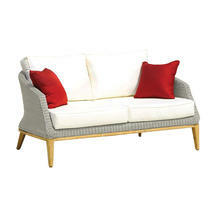 The red scatter cushions are available to order separately and do not come as standard with the furniture.